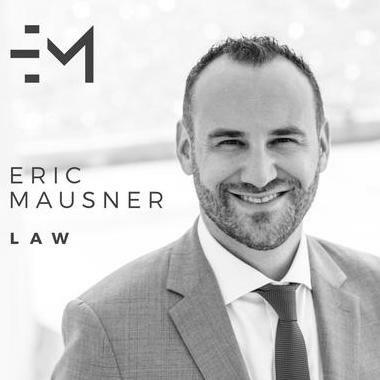 A native of New Jersey and a third generation lawyer, Eric earned his Bachelor of Arts degree in political science and a minor in classical humanities from The George Washington University, and his Juris Doctor from New York Law School. Eric is a former Miami-Dade County Prosecutor who focuses his practice on business formation & structure, labor & employment law, commercial litigation, criminal defense, and personal injury matters. Eric enjoys working with all kinds of clients from all different kinds of backgrounds. Eric lives in Miami, Florida and is admitted to practice law in Florida, New Jersey, and Washington, D.C and… read more represents clients throughout the country. "We had the opportunity to work with Mr. Mausner. Before we retained him, he went out of his way to learn the facts and issues and had a very engaging conversation about our business plan. The initial conversation alone sparked new ideas and thoughts on how to start and manage our business. When we retained Mr. Mausner he always remained in constant contact with us which we loved! He was professional, ethical, and straight to the point with his advice. I strongly recommend his services to others who are starting up a business." "I have always used Mr. Mausner's assistance for startup business advice. He assisted me with selecting the appropriate corporate entity as well as creating operating agreements and licensing agreements. Mr. Mausner was very diligent, knowledgeable, and professional. He also always available every time I required his assistance. I highly recommend Mr. Mausner for all corporate start up matters." Eric is a former Miami-Dade County Prosecutor who focuses his practice on business formation & structure, labor & employment law, commercial litigation, criminal defense, and personal injury matters. Eric focused his practice on personal injury matters. Eric prosecuted thousands of felonies and misdemeanors in Miami-Dade County.